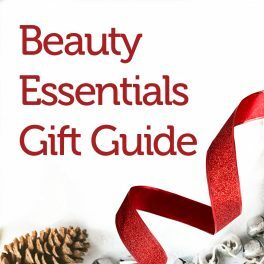 Christmas Gift hunting and gathering is a challenge for most of us, so here at The Skin Care Clinic we’ve created an easy solution for you and it’s all right on this page! Simply think what your special person or persons are into and click on that box to find an interesting array of gift ideas. So whether they are clean and green, sporty, sun loving or simply deserve a lovely soak in a bath, you’ll find something for them. A few of our fav’s this year are the Limited edition Christmas Beauty kits which offer top-notch products along with incredible discounts, the Miessence Darling Salt Glow for the stressed out bath lover, and the fun, but effective Wrinkle Schminkle boxed kits. For those with a health kick on the New Year agenda why not look at the Organic Nation products, certified organic products which you’ll find under the aptly maned – Wellness Guru. PCA Skin Peptide Lip Treatment for those with constantly dry chaffed lips. Rejuvaphyl Pore Perfecting complex to help Aunt Maud reduce her enlarged pores she hates so much. Skin care, makeup kits in all sizes for all skins and ages. Melt away Gelee – Eye Makeup remover especially made for sensitive skins and those who enjoy a heavier eye look. Hydrating setting mist – yum! 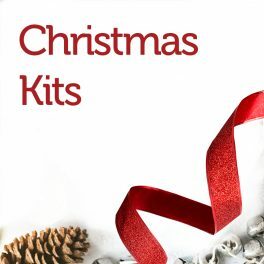 The gorgeous Merry and Bright kit. A set of brushes – she’ll love you for it! Skin Care in a kit – YAY! whether he is into skin care or not, he’ll appreciate a kit created just for him – remember the sunblock too. Aspect Dry Touch SPF – men who hate sunblock love it! Give them a lesson in choice – good skin care and makeup = good skin! Kits galore to choose from. A concealer and hydrator in one – treat the breakouts as they are hidden – Osmosis Colour Concealer. Water colours for the eyes – let her be a trend setter. Rejuvaphyl – any of this range fits the bill. All their products look spectacular, feel gorgeous, do everything they promise (and more) and are simply luxurious! For the more practical but still expecting Luxe the Osmosis MD Spoil Me kit will do the trick. Do them a favour with any of our Sunblocks and combine it with a Lip Shine SPF 35. This comes in Clear for men who don’t colour their lips and 4 other shades for those who do. Have a swimmer to find a gift for. Without telling them they always smell of chlorine, give them the Miessence Body wash and cream. For those who delight in telling you of their sore muscles, the Miessence Darling Salt glow will soften their pain. And if none of these help – there is always a E-Gift Certificate. Easy!